This week we came up against an old Manning member Liz Brookes and her team from North Beach. The team of Wendy Dolton, Marg Booth, Glenys Carter and Trish Hall lost narrowly by 1 shot 13-14. But all played well and should not be disappointed with the result. 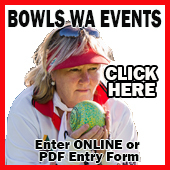 The team of Karina Gale, Robyn O’Brien, Bev Bradshaw and Cheryl Brown played Liz Brook’s team and can out flying with a strong start leading at one stage 17-1. 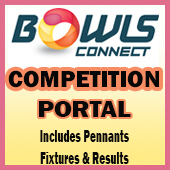 Great bowls was played by the entire team to register a comfortable win 26-7. A 3 point win for this team this week keeps us in touch with the top 4. This week we play Victoria Park and a win would boost our position. Thanks Allan Booth for making us laugh this week with your antics even if it was at Trish and my expense.